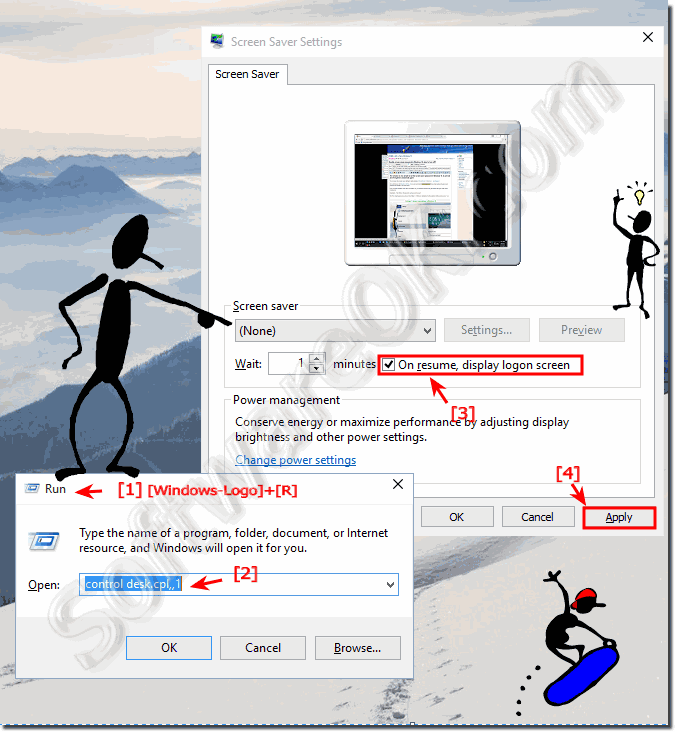 Solution to set the screen saver password in Windows 10, to activate and and if required to deactivate again! It is very easy to turn the password prompt on or off under Windows-10, the solution is also suitable for older windows operating systems, and also for MS Surface / Surface Pro or Tablet PC and it is easy, Many crossover Linux and Apples MAC OS users ask for a fast Solution for this very important feature on Microsoft's newest Windows OS. 1.) ... Change the Screensaver Settings and Password the classic Solution! 2.) ... Open the screen Saver settings after Creators update in Windows 10! 3.) ... Important! Creators Update ant the screen saver password! 1.) Change the Screensaver Settings and Password the classic Solution! control desk.cpl ,1 or the command control desk.cpl,screensaver,@screensaver here simply activate the password prompt for the Windows 10 screen saver. If you no longer need the screen saver password in Windows 10, easy repeat the steps and disable the login screen of the screensaver. Important! .... please set the Window 10 password! Info: The standard Screensaver(s) folder is: C:\Windows\System32, the file extension of the screensaver is *.scr. 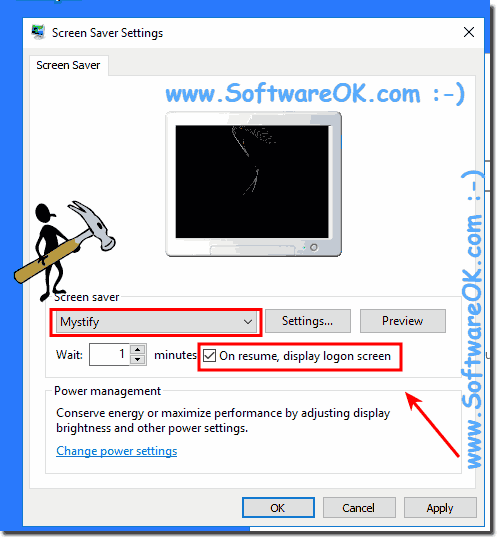 (Image-1) Screen-Saver Password in Windows-10! 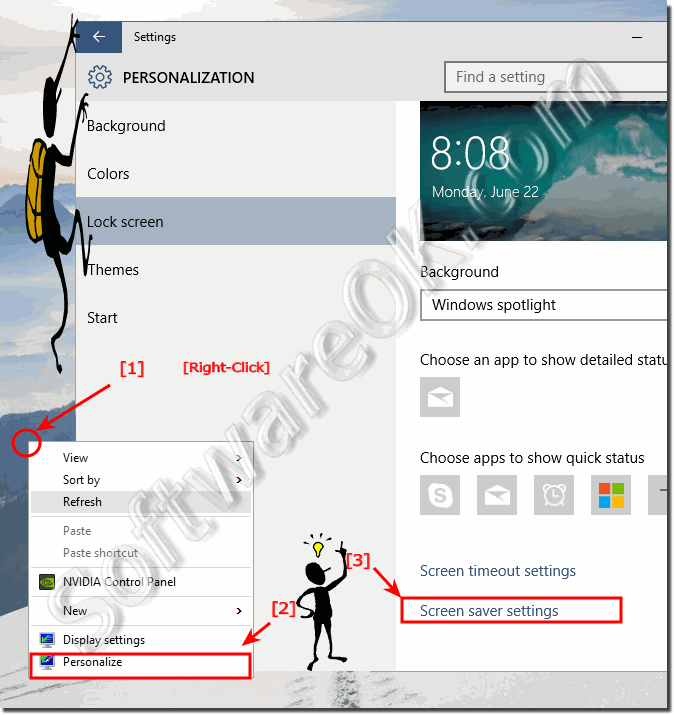 (Image-2) Screen saver settings in Windows-10! 2.) Open the screen Saver settings after Creators update in Windows 10! (Image-3) Enable screen saver password in Windows 10 creators Update! (Image-4) Password in Windows 10 screensaver! Important! Creators Update ant the screen saver password! When Windows 10 is password protected by the screen saver. If you have not set a password, this setting has no effects. The password protection for screensavers can be turned on from W10 Creators Update without. The Password protection check box is always activated! If the Windows 10 password is not set, there is no password protection for the screensaver, only the login screen will appear, but without Windows password, anyone can log in to the PC. 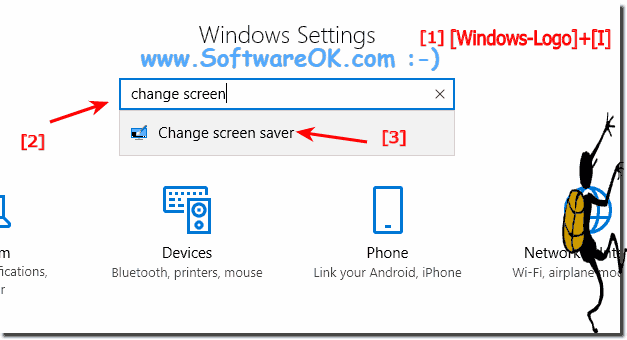 Windows-10 - FAQ-71: Enable screen saver password in Windows 10, how to turn off?